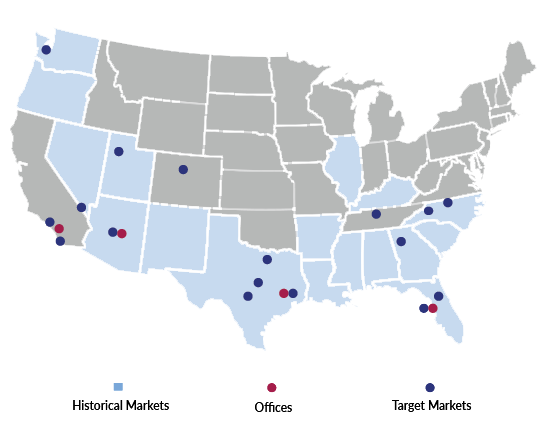 Kaplan Acquisitions pursues acquisition opportunities in most major metropolitan areas in the United States. We have experience developing in markets with formidable barriers to entry - whether governmental or sensitive public issues - and identify unique submarket opportunities through our comprehensive in-house analytics. Kaplan also has over 40 years of management experience in the dynamic and ever changing multi-family industry. This skill provides us with insight into market conditions, trends, and opportunities that less experienced companies might overlook.